Over 50 non-profit leaders, decision makers and community members gathered to unveil a new vision in the Mayfair neighborhood of East San Jose. With the launch of the Si Se Puede! Collective, four respected non-profits are joining forces to maximize their impact and prioritize community needs. “We are no longer operating out of competition, but out of collaboration. Most importantly, we are setting a community-first agenda,” said Veronica Goei, executive director of Grail Family Services. 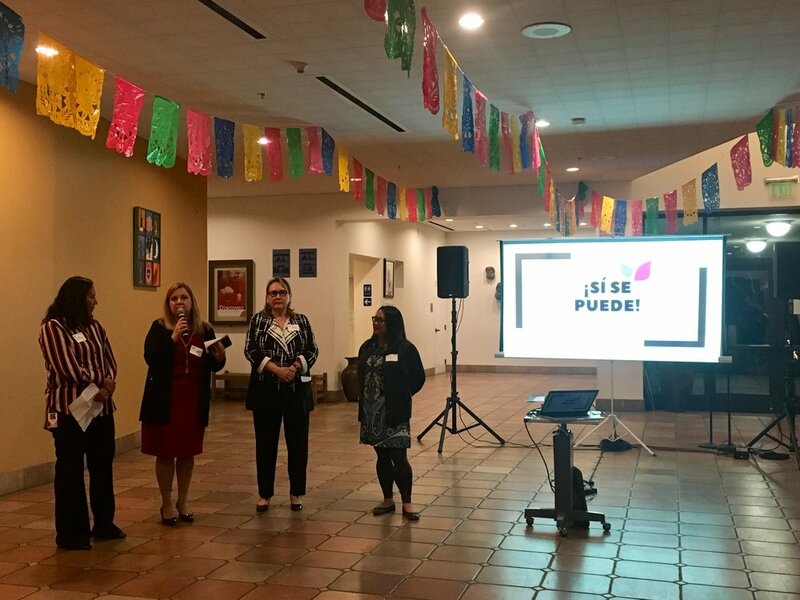 The Collective is comprised of four community organizations: Amigos De Guadalupe Center for Justice and Empowerment, Grail Family Services, School of Arts and Culture at Mexican Heritage Plaza and SOMOS Mayfair. They are each respected for their commitment to uplifting community voice, and together provide wraparound services and opportunities for low-income and immigrant families living in Mayfair. “Our neighborhood needs our collective approach now more than ever. We are responding to the call to action our communities are upholding--- to come together, create bridges and find sustainable, long term solutions to continued problems in our community,” said Vanessa Shieh, interim executive director of the School of Arts and Culture. Historically, there has been a narrative of failure placed onto the Mayfair community. The Collective members realized that the best way to rewrite the narrative into one of success, best practices and hope was to join their unique talents in a new and collaborative way. Mayfair is a rooted and thriving community where resilient families have confidence in their gifts, choices and dreams. With the launch of the Collective, the organizations plan to share resources, hold systems accountable, and support solutions that will bring direct benefits to the people living in the neighborhood. “We have come together to develop a collective impact that is rooted in equity and systems change. We started by looking inwardly and evaluating how we as organizations are modeling equity in our own systems. It is crucial that we prioritize shared leadership and transparent decision-making,” said Camille Llanes-Fontanilla, executive director of SOMOS Mayfair. The Si Se Puede! Collective is committed to walking alongside the Mayfair community and working in solidarity to reach community sovereignty, to challenge existing systems and to shift power back to the hands of community residents. They celebrate their tenacity and resilience and rejoice in a collective approach to meaningful and authentic community change. Karina Shares the Impact of "Cut the Sugar"